I was very happy that the 200 “Partisan” prints available at Gary Baseman’s Skirball show sold out. I was unhappy to hear that some people commented that the poster contradicted my anti-assault rifle “God Saves and Satan Invests” print. 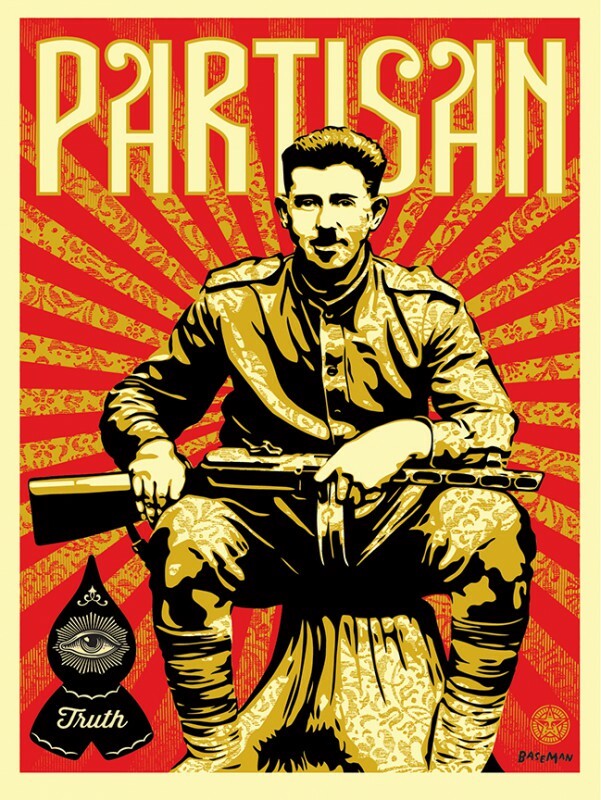 The “Partisan” print is based on a photo of Gary’s father who escaped murder by the Nazi’s in Poland to join up with Russian paratroopers as a partisan. The print is about celebrating Gary’s family history and his father’s courage, not that he was forced to take up arms to survive. The circumstances in the case of Gary’s father are not comparable to Americans craving assault weapons in peacetime. Read more about Gary’s father below. 200 “Partisan” prints signed by me and Gary will be available on obeygiant.com Thurs. 18 x 24 inch screen print. 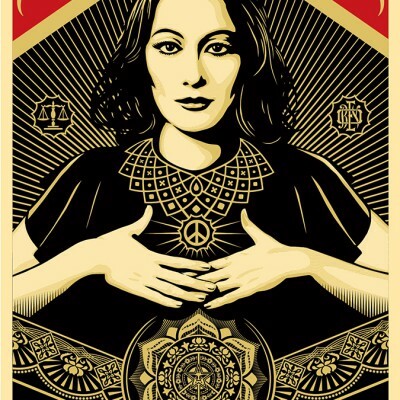 Co-signed by Shepard Fairey and Gary Baseman. 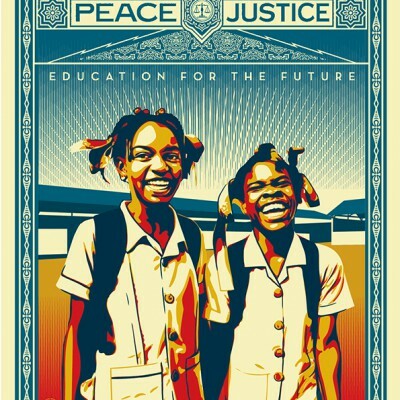 Numbered edition of 400. $70 Purchase limit: 1 per person/household. Release date: 5/2/2013 at a random time between 10am and 12 noon PST here. History comes alive in Partisan, a dynamic collaboration between Shepard Fairey and Gary Baseman, featuring Ben Baseman -“ a freedom fighter who fought in the woods of Poland for over three years during World War II. Ben Baseman survived the mass murders that took place in 1941-42 in cities across Eastern Europe, including his hometown of Berezne. After losing his parents and many loved ones, he fought for freedom and miraculously survived. Ben Baseman lived to the age of 93, having raised four children in the Fairfax district of Los Angeles that includes the artist Gary Baseman.